I was SO ready for this half marathon. I had built up my mileage base for months, to make sure the distance was comfortable. I had done speed work and hill repeats. I had trained my bare feet for rough surfaces. I had cross trained, slept well, and eaten good food. Then, a little less than two weeks before the event, I got the flu. By flu, I mean the kind of upper respiratory virus that makes you want to sleep 16 hours a day. There was nothing for it, but to do basically that. Any activity, other than barely walking around the house, was both forbidden (by the caring husband) and impossible. The illness would not be ignored. 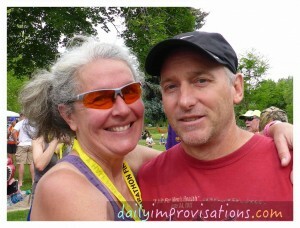 My husband-coach told me to just wait until the day before the race and see how I felt. He suggested that I was well prepared, if only I would let myself heal. It was not how I usually approach running after being sick, but I considered it. Nine days later, I finally felt I had the strength to run across the back lawn. It seemed hopeful. The morning of the Fit One Half Marathon, I felt rather peppy. Not overly excited or anything, but energetic enough to think the race was really possible. The early morning temperatures were comfortable, just barely chilly, but not cold enough to stress my body in any way. Being surrounded by other runners helped with this, too. 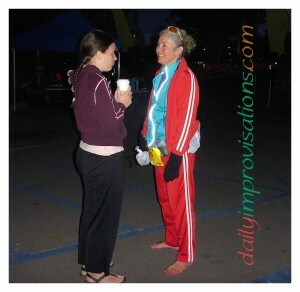 Even before the race began, I got a few comments and questions about my bare feet. To those who said they were “impressed,” I responded that what they should be impressed with was that I had just gotten over the flu. I said this mostly for my own encouragement, because I still had to wonder how things would turn out. I also mentioned to them that running barefoot probably gave me an unfair advantage. The first 6 miles or so went very smoothly. I felt good. I was comfortably keeping a pace that I was happy with. There was more chip seal road running than I had been told there would be, but I was keeping my form light and my feet were handling it well. 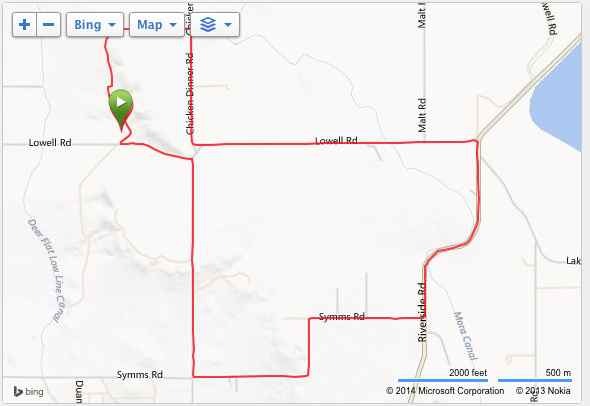 Still, I made a note to self: when race coordinator says the race is mostly on the greenbelt, don’t believe them. Around the half-way point, my right ham string began to try to cramp. I have to suspect this was related to my body dealing with the illness. I tried to make sure I was taking in enough electrolytes, via the lemonade in my water bottles. Slow and steady, not too much at once. I made myself relax even more and although I still felt the tightness in the back of the leg, it all seemed to help some. Until around mile 9. At that point, I could tell my form was degrading just because the back of the leg was tightening. By mile 10, it had began to hurt and I was developing a blister on one middle toe of the opposite foot, most likely due to the form issues. Here, I would remind any shod runners who are reading that people who wear shoes regularly get blisters of all sorts. It was disheartening to be approaching a steep up hill. 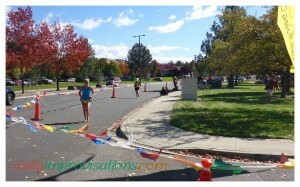 It also didn’t help that in an effort to cheer the runners on, there was an inflated gate to pass through. I was disoriented and didn’t know if I had finished the race or what. However, I decided to keep going and soon saw that other runners were also still running on ahead. The last three miles were very difficult. It was made more difficult by the influx of runners and walkers from the shorter distance races. As I was trying desperately to keep going, I would be all of a sudden blocked by groups of walkers with apparently no awareness of what a long distance racer might appreciate. Besides that, the signs announcing the end of the various races were inconsistent and every time I thought I had only a short way to go, another sign would appear telling another group they had “such and such” a distance to go. Just when I was about to give up, the course turned the corner into the park. And I crossed two or three rubber mats, still not sure if I could stop running. Finally, someone was standing near with a half marathon medal and I said, yes, I definitely wanted one of those. I had slowed way down the last mile, the troublesome leg just refusing to engage. I felt about the same as when I had finished my marathon two years ago. I was discouraged. My husband managed to get me over to check my stats, though, and they weren’t as bad as I felt. Sure, I almost certainly would have done *better* if I hadn’t been sick, but I had still finished nearly exactly in the middle of the pack for all racers. I just barely missed being in the top 2/5ths of all women entered. I was in the top third of the 35 women in the 55 to 59 age group. My overall average pace was right around my average training pace prior to being sick. I had to admit that the 536 people who had crossed the finish line after me probably didn’t want to hear that I had just had the flu. It took me about a week to fully appreciate my results. My leg is still a bit tight if I try to run more than a couple miles, but I can walk and dance and garden and bike and swim just fine, so I have to think it isn’t very serious. It just needs a little more time. 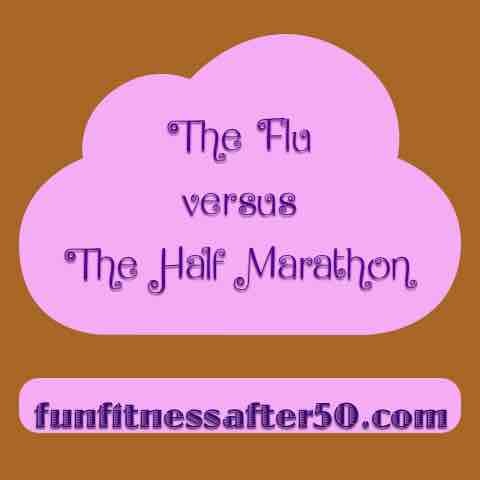 Would I ever run another race right after having the flu? Probably not. Right after the race, I said definitely not. I do think my husband was right that I would have been disappointed to not have tried, but if I am ever faced with that choice again, I can say I’ve already accomplished running a half marathon right after having the flu. Some things you only need to do once. 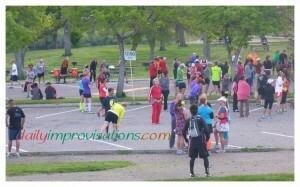 I searched the mass of 1600 runners behind the start line for any other barefoot or minimalist runners. I was disappointed not to see any, as I usually at least spot someone in sandals or Vibrams. Then, I heard someone say, “Ah! There she is. Bare feet.” This made me smile, but though it was close enough to assume they were talking about me, it was too crowded to pick out the speaker after the fact. After a bit, one fellow came and stood beside me quite intentionally. In my peripheral vision, I saw him looking at me and I finally realized that I recognized him as the tall, middle aged deaf runner I had seen at a race two weeks before that I had volunteered at, so not the same person I had heard talking earlier. I greeted him and he pointed enthusiastically at my feet, saying, “Wow!” and bowing in great respect. Then, the race started. Not long after the start, just as we are leaving Sandy Point Park at Lucky Peak. This shot was taken around mile 10. Judging from what I end up hearing, most people fall into the first two categories. Not all comments are directed at me, many simply being spoken well within my hearing. Most of the time the comments are generated from a not unreasonable surprise, in a world where shoes are still the norm. Unfortunately, many of the comments come from too far away or I am not ready to interrupt my run to interject myself where I have not been invited. When people do take time to speak to me personally about how impressed they are, I really try to emphasize right away that I do it because it is much more fun than running with shoes on! If they hang around for a while more, I attempt to explain succinctly that it is healthier. I would never be running these distances in shoes, especially the modern “running” shoe. He laughed and quipped, “Not ‘commando’ or something?” I laughed. He proceeded to offer me effusive encouragement for such an, he implied with his tone, super human accomplishment. As he began to pull ahead casually, I replied, “You, too! Running in shoes is hard!” And then he laughed. 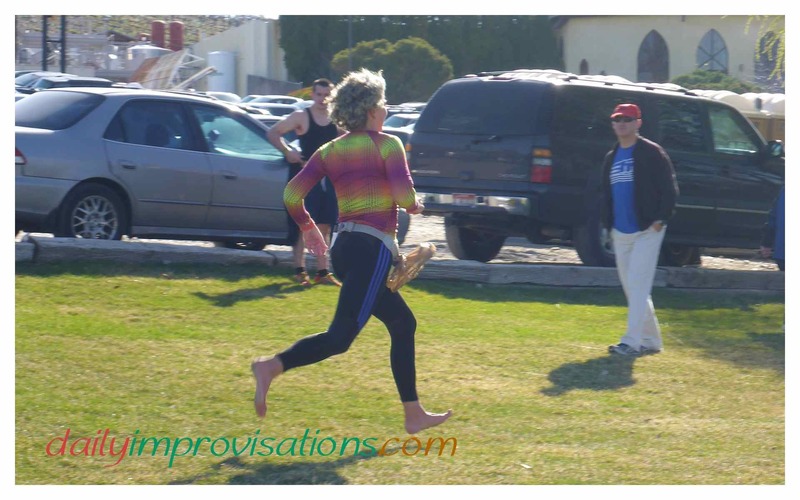 I did come across one other lady running barefoot in the first half of the race. We gave each other high fives. At the first encounter, I passed her. 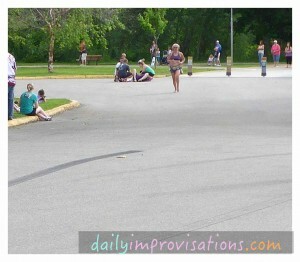 She whizzed by me a few miles later, but then I passed her resting at a water station a couple miles from the finish. Still, no others in the minimalist category that I saw. It depends on how old you are when you begin to run barefoot. The longer time your feet have been weakened by shoe wearing, the longer it may take to get foot strength back. It depends on what type of footwear you have been or are in the habit of wearing. Some footwear is more deforming and/or limits appropriate stimulation of foot and lower leg muscles. It depends on how much of the rest of your day you can spend barefoot. The whole musculoskeletal structure of the feet needs time to adapt and regain function. It depends on how active you are: in the past, in general, and now. Sitting at a desk won’t do nearly as much to bring back foot health as walking. 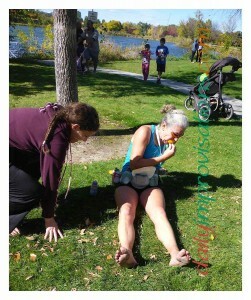 It is always interesting to hear adults spectators answer their children’s questions about why I am running barefoot. There is something about a child’s questions that seems to stimulate a thoughtful, and frequently intuitive, response. Most of the adults say something about it probably being more healthy. Some even come up with potential, and often correct, reasons. This happened a few times during this race, too. One mom nearly gave an impromptu class on it, as she seemed to be recalling some things she might have read. I always hope that these children will subsequently be allowed to go barefoot more. 1. I was rather gracefully passing him, compared to his heavy, apparently labored footfalls. 2. He commented I must “want to be done” since I was running on the white line some on a very rough street. I must guess that many people were interested in being done by then, judging by all their breathing and lack of spring in their step. Including him. I would still rather navigate some rough patches and develop my barefoot abilities than run in (this description from a friend) foot coffins. 3. If it is “stupid” to run barefoot, is it also stupid to run in shoes that give a person painful blisters and remove toenails? And often lead to knee and back pain? One of my friendlier questioners even brought up the toenail issue herself, saying being barefoot was such a good idea to avoid that! 4. Did I mention I passed him, and never saw him again? Did he make snide remarks about all the people who passed him? Or just about the barefoot 50 something ladies with curly pigtails? I wonder what it would be like if most of the runners were barefoot, and the gasps were for people trying to run in shoes. I would be just one of the naturally barefoot crowd. I’d have to find other things to talk about during the race, that’s for sure. Me with my coach after the race. He had rescheduled some important fishing on the Snake River to support me that morning. It was my first official marathon. I had not been able to run the course ahead of time to determine barefoot level. I knew I was quite likely to be facing about 5 hours of running. I had strained my right lower leg 6 weeks prior to the race, then my left quad about 3 weeks before. My mom had been diagnosed with aggressive brain cancer about 2 months before the race and I was devoted to spending a lot of time caring for her and helping my dad. My mom, whom I was very close to, died exactly 1 week before the race. My husband is a very supportive and wise coach. The rest of my family was also very encouraging and helpful about scheduling what training I could while my mom was sick. I have been implementing a maximum aerobic function (MAF) approach to my training for a year, and this has made my running efforts much more comfortable. I have a spinning bike in my basement and a swimming pool with a current generator in my backyard for alternative training. I have previously run some races barefoot, including the Shamrock Shuffle 10K (here is my pre-race evaluation of that course) and the Great Potato 2014 half marathon this spring. I have run 2 complete half marathons, one half in minimalist running moccasins (my Moc3’s), and the half marathon I mentioned above. I had run several long runs completely barefoot, including one 26.2 miler before my leg difficulties. I have run in extreme weather conditions of both hot and cold. Hills were part of my training runs now and then throughout my training, although never something I worked “hard” on. I had lots of good advice and support from my Barefoot Runners Society (BRS) friends when I asked for specifics relating to my situation. The weather was perfect on race day. Figuring out where the start is before sitting down for a while. I was so very grateful for the cool, sunny, dry weather on race day. It meant that most of my pre-race warming clothing could be left behind. The pre-dawn temperatures were around 48°F, and were supposed to make it to 50°F early in the run. I knew I could comfortably run barefoot, with shorts and a long sleeve t-shirt in that weather. My husband/coach, Wild Greg, advised, however, that I sit down for the half hour I had before the race, which turned out to be a good idea, as I could alternate between putting my bare feet up on my daughter’s or his lap. It was pointed out to me that they were not offering to snuggle my feet under their shirts, next to their bare bellies, but I appreciated what they were willing to do. In spite of this man’s choice of, or lack of, attire, my bare feet seemed of more real interest to the other runners. I had plans to sew a pouch for my Lunas, but the last 2 months being what they were, I never got to it. It is still on my agenda. I have run with my sandals tied to me in a grocery bag many times without any trouble. They have stayed put and quickly become unnoticeable as I run, but this time they worked themselves loose, so that I ended up carrying them in my hands most of the way. Starting back in the pack, with others who were saying they just wanted to finish before dark. Although my feet were slightly numb from the cold for the first 3 miles, it was not enough to inspire donning of footwear. I was enjoying being barefooted and I could feel the ground. It is true that before the race, I had vacillated greatly about whether or not to just wear the Lunas. I was mentally stressed out about what kinds of surfaces I would be facing at a distance that was going to be a true test for me. Somehow, just knowing the decision was totally up to me, that there was no shame in doing whatever worked for me, helped me relax. Then, I was able to recognize that I would really be the most comfortable the more I was able to run barefoot. So, I started barefoot, but ready to do what I needed to along the way. The first half of the race I barely glanced at my Garmin, just to notice that I had almost gone 3 miles, 5 miles, 8 miles. I didn’t look at my pace. I noticed my feet were warming up nicely, but that the blinding rising sun was making it harder to see what was on the ground in front of me. I had been practicing landing more on my whole forefoot, so as to spread any landing force on gravel across my whole foot. This was suggested in another BRS forum thread I had read and when I tried it on training runs, it helped. I was not feeling any discomfort on the bottoms of my feet as I ran through some of the roadside gravel that seems to spread thinly across the road. About 5 miles along, on Federal Way, there was some trouble with visibility of the ground either due to bright sun or my shadow right in front of me. Have you ever run trying to avoid your own shadow!? About the 5 mile mark was the first time my husband/coach showed up alongside me for a couple hundred yards. He was driving his car from spot to spot, taking photos and jogging alongside me encouragingly, even chatting with the other runners. He pointed out to me that his calculator brain (my description, not his) had determined I was running about a 10:15 minute mile pace. This surprised and concerned me. That was a good 1 to 1.5 minute faster per mile than I had been doing on my training runs since my leg problems. Since I didn’t feel at all like I was exerting myself, I decided to just enjoy myself and run “how I felt.” I was pretty sure I would slow down later, so why not take advantage of my floating fleetness for the time being. I wasn’t breathing hard, like many of the runners around me, and my legs felt great. During the first few miles, I met a massage therapist running her second marathon. She works in a local hospital and gives massages to mom’s right after child birth. This has included a lot of refugees, so she has seen a lot of feet that have gone bare for many years. She commented to me how leathery they all are, and I could tell her that mine were getting pretty leathery, too. She was both intrigued and somewhat knowledgeable about my barefoot running, too, having looked up some things herself. Now, perhaps, she will be inspired to give it a try. 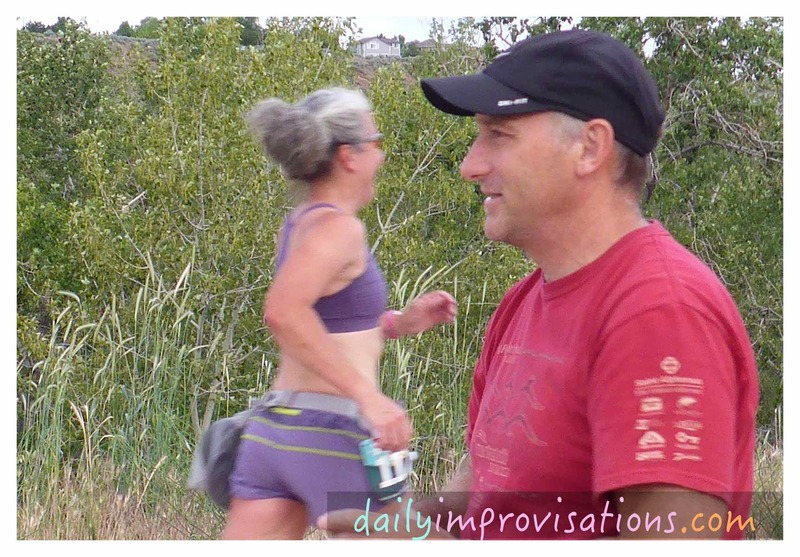 The wandering husband/coach showed up around mile 8 with … jelly beans. He had apparently gone shopping while I had been running. He wanted to make sure I had enough energy (not being convinced that my 4 cups of lemonade were enough) and offered me my choice of marshmallow or tangerine jelly beans. I said I would try a few of the tangerine flavored ones. (Marshmallow sounded horrible and I blocked the thought of them from my mind immediately.) We passed sandals and plastic bags of jelly beans back and forth so that I could take what I wanted from the bag. I threw about 4 in my mouth, like a good girl. I found I could breath through my mouth without choking while chewing jelly beans, and thanked him for taking care of me. Then, he disappeared again while I headed for a pleasant, shaded, riverside greenbelt section of the course. Meeting a woman who was running her 93rd marathon was another highlight of this section of the run. There were so many fun details she was willing to share, while still asking me in a friendly way about my life and running. Her husband was an Olympic marathoner in the 1980’s. 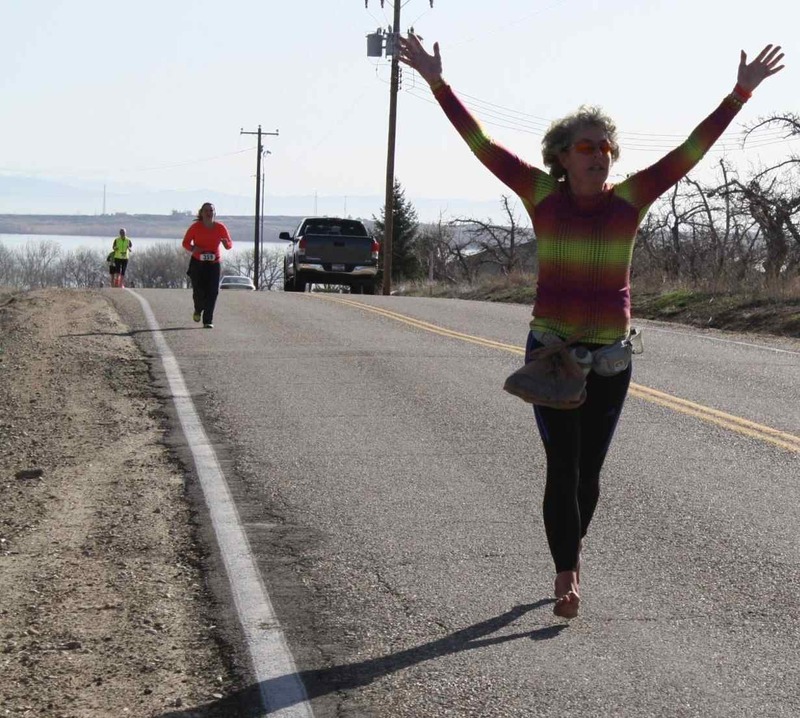 She has run a marathon in all 50 states. 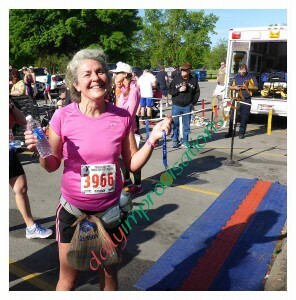 She began running marathons in the 1990’s, but took a long break and started up again in 2005. The closest in time she has ever run 2 marathons is on a Thursday, then a Sunday. And, yes, she has run the New York and Boston marathons, however doesn’t really recommend them. She likes the smaller races. 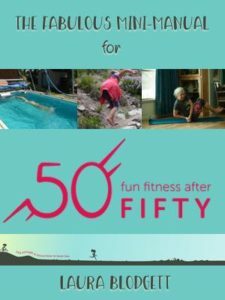 After she completes 100 marathons, she plans on tackling a 50 K. And she is a few years older than me! She said the last few miles are still always hard for her, but I didn’t really get an idea of her training or how frequently she usually runs them. Overall, very fun and encouraging conversation, and memory of it helped me during the last few miles. 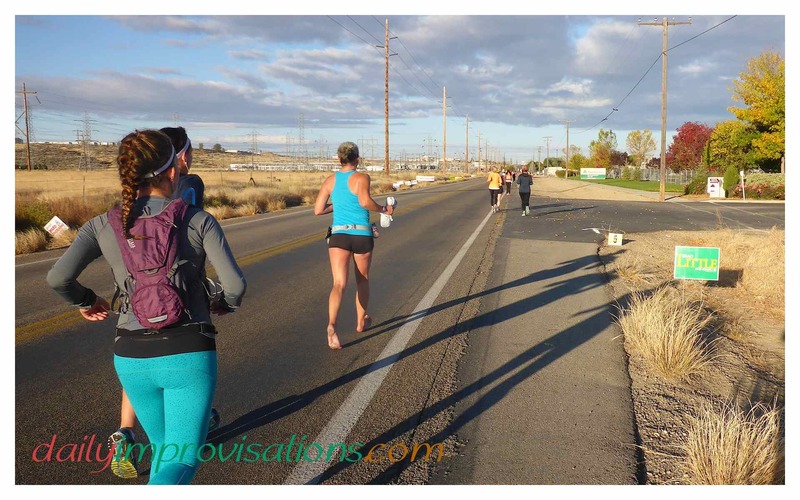 One of the many gorgeous views during the City of Trees 2014 Marathon. 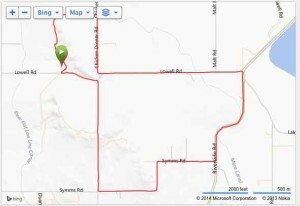 The marathon course was the same as the half marathon course for the first 12 and the last 1.2 miles. 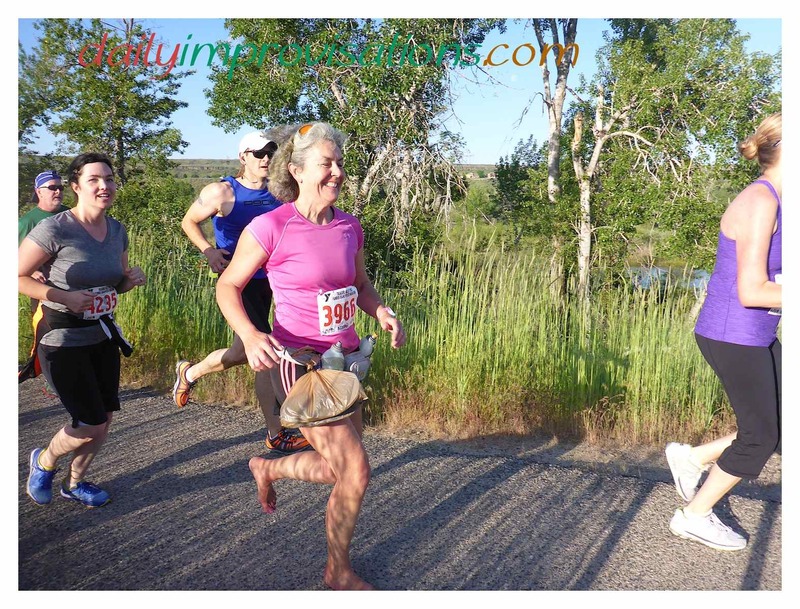 I mention this particularly because that first half of the course was very easy to run barefoot, especially for someone who has run mostly barefoot for a couple of years. I did utilize some sidewalks, but most of the pavement was smooth to moderate. I was easily able to keep a running pace limited by my aerobic training rather than accommodating rough running surfaces. Thus, if someone is looking for a “barefoot friendly” half marathon, I would recommend this race. All was still comfortable running until we came to some neighborhood streets in the north end of Boise, near Camel’s Back Park. Here, about mile 15, there were NOT sidewalks and the asphalt was chip seal. I slipped on my Lunas, as I could not tell how long it would go on and I didn’t want the frustration at that point in the race. When sidewalks did show up again, they were uneven and strewn with nuts and leaves, but I knew I wanted to take my sandals off. I was right. Being barefoot felt better. I could cross the rough streets easily enough, as long as I didn’t have to run on them constantly. Maybe some day I will be up to that. Just a quick distance check on the Garmin, which was faithful until about mile 24, when it went into low battery mode. During this barefoot time, a tall, fit enough looking man came up puffing beside me. To tell me that when he began to feel sorry for himself about his legs hurting so much, he just thought about me, running along holding my flip-flops in my hand. The first thing I told him, while I held them up for exhibit, was that they were running sandals! Then, I am afraid I may have discouraged him when I said, “My feet are happy being bare!”, shortly thereafter pulling away from him with no effort. Then I came to another portion of the course in down town Boise that was rough and around a lot of traffic. It was the only part of the course that had cones on both sides of us while we pretty much ran down the middle of busy streets with cars all around us. There were very conscientious volunteers helping to guard our crossings at intersections, but I still felt on high alert, kind of like a scared rabbit. Thus, I was thankful to have my Lunas for that part. We ran past a politically active enclave of homeless people under a bridge, that I was less than receptive to, as they wanted “free housing not free handouts.” I was thinking if they put as much effort into job hunting as they were their picketing, they could probably afford housing. Whatever my economic convictions, I was glad there was a manly looking volunteer there, because the homeless folks were looking confrontational and I was feeling vulnerable after 17 miles of running. I was beginning to get tired now. I took off my sandals again because I had a sense it would make me feel more alive in my running. I was right. Minimalist footwear is better than those toe confining, inflexible footboxes that most people call shoes, but nothing is as good as barefoot in most normal situations. I still wasn’t breathing hard, except for barely at the top of a couple of significant hills. My MAF training was really helping with that. In fact, on that hill, I unintentionally “lost” a few people who had been generally close to me throughout much of the race. One of them was a race walker, who I was trying not to let drive me crazy. It wasn’t that she was obnoxious, but her slowing to a walk, then pulling ahead running was not a rhythm that I could adjust to. I was happy that the hill finally separated us. The view from Crescent Rim Road, with the significant hill climb before and hard descent afterward. My legs now began getting more leaden with each step. Definitely a case of “so close, yet so far away.” I hit some comparatively rough pavement, but surprised myself by realizing that being barefoot now was more of a boost to my energy than rough pavement was an impediment. My pace was already down to what it normally is on rougher pavement, so it was oddly comfortable. I passed about 3 other dogged racers even. Soon, I hit a down hill that tested my legs in a whole new way. The downhills earlier in the race had been fun, as I glided carefully down them. This time, my legs hurt intensely with every step. I tried not to tense up, so as to cause myself damage. When I got to the bottom, I could not remember the last time I had seen a painted arrow on the road. There hadn’t been any volunteers for a couple of miles and I couldn’t see any racers in front of me. Fortunately, it had occurred to me to study the race course the day before, and generally being familiar with downtown Boise, it was not hard to bring to mind that I should be at least in the right vicinity. I figured I should run a bit more and was relieved to finally see another arrow pointing to a turn into Ann Morrison Park. I guess that is one drawback of small races. You can end up by yourself at some point. Come to find out, my husband/coach had been looking for me around there. Seeing how deserted the area was, and knowing my lack of directional ability, he was not sure how or where to look for me. At the same time, he was able to help 2-3 other runners who had accidentally passed the arrows that I had seen. He is so good at keeping track of things, he knew who was ahead and behind me the whole time, so he figured out that he should just go to the finish since he couldn’t see me up or down the road and the rest of the course was again on the greenbelt. Strong bare feet running through parts of downtown Boise. One of my biggest concerns about the last few miles was that they would seem sooo long. I am still puzzling over how they seemed to slip by in spite of the slow pace and aching legs. Partly, I think it helped that I didn’t spend a lot of time focusing on exactly how far I had to go, but rather mostly thought about putting one foot in front of the other and just making it to the end. That said, I have complete compassion on anyone who gets to that point in the race and feels they cannot make it another step, even with only a mile to go. It hurt. I reminded myself that I had gone through 7 labors without pain relieving drugs, so this was nothing. Okay, not nothing, but doable. Hopefully. As you may have suspected, I did make it. I even slightly picked up the pace for the last quarter mile. 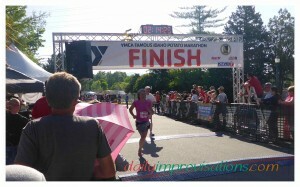 I had to do my best not to be passed so close to the finish line, although I had no clue how close anyone was. Nothing heroic or that could lead to a pulled muscle, not that I was capable of that. I was so pleased to see several of my kids and all my grandkids at the finish area, cheering me on! Then, my 2 year old grandson, unbeknownst to me, started trying to sprint down the chute behind me as fast as his little legs could carry him. I wish I had noticed and could have taken him across with me. The final curve to the finish line, with rescued grandson being transported across the grass to meet me there instead. When I was done, I was, um, wobbly. I needed to sit down, but my kids were afraid I wouldn’t make it up again. My legs felt they might seize up if I required anything more of them. I made it to a sunny patch of grass with some help. One of them ran to get orange slices for me. Somewhat frantically sucking orange slices after the marathon. After the race, my 93rd marathoner friend came up to congratulate me. She had finished some seconds behind me. Later, as I made my way past the finish, to our car, another gentleman who was just finishing made it a point to yell over to me that I had run well. I got the impression he was truly astonished that I had done as well as I had with bare feet. A spectator, a woman who was approximately my age and was cheering people in along the finish chute, came over to hug me and tell me what an inspiration I was! It wasn’t that my results were spectacular. All I had wanted to do was finish and have fun. It took me 4 hours 50 minutes and 41 seconds to do that, not counting the measly 18 seconds it took to get up to the starting line. My pace was an 11:06 average, being closer to a 10 minute mile pace in the first half and closer to a 12 minute mile pace in the second half. It looks like I actually beat my fastest half marathon pace for that distance and that part felt easy! But it’s not about my results. Not for you. It is about where you are starting from for your own goals and accomplishments. I completed a marathon, and strange as it may sound, I am already thinking about preparing for another. It was fun training, the race was exciting, and I am thrilled with my barefooting progress. However, I didn’t start with a marathon. I started with getting ready for a 5K. After years of struggling to fit in 20 minutes of exercise only 3 times a week while (happily) raising multiple children, after injuries and surgeries and slow recoveries. After beginning to feel old, then deciding that didn’t mean I needed to act old. And I still think I can go faster. Catch me if you can! I have not been able to schedule races around my female cycle since my body began the normal aging process a few years ago. So, I have done some research and basically found nothing about the subject in relation to running. What I did find was a much better alternative to female napkins, called a menstrual cup. I made sure to do training runs using this, so that if the need arose during a race, I would be ready. But up until today, this had not actually happened. This race day, I knew I would be dealing with this inconvenience, but the cramps caught me off guard. I have not had cramps during training or races. 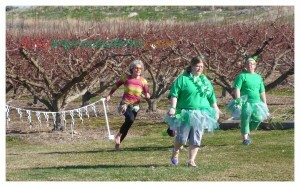 I’m the barefoot one in the pink top in the very middle. 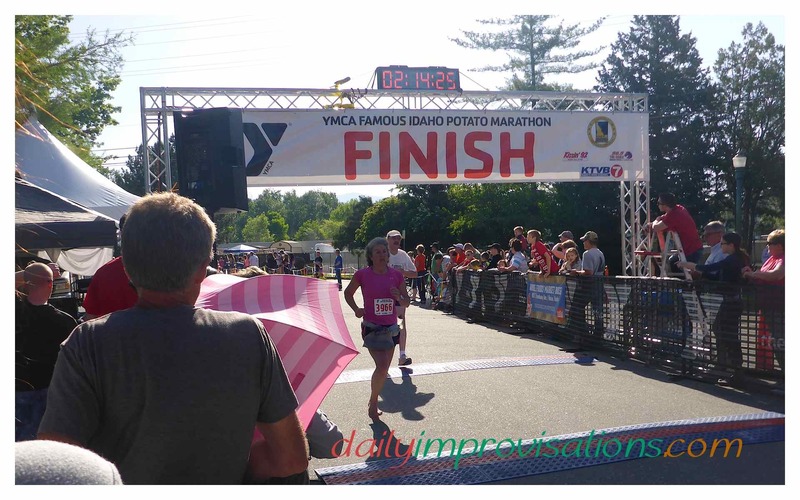 But there I was, in the middle of my first barefoot marathon, and my first half marathon since beginning my MAF training, having the kind of menstrual cramps that usually send me to the couch. Completing the race meant a lot to me. Plus, I considered it a major step to preparing for running my first marathon, also hopefully barefoot, in a few months. I had to make some quick decisions and do some problem solving. Running along barefoot at my own pace is not without its strategy on 4-5 foot path with so many other runners, but this photo caught me in a relatively open situation. Hitting a wall, of sorts, in the middle of an event, and in this unanticipated way, was discouraging. For a few minutes, I felt like my body was going to just shut down on me. I recalled that staying hydrated, and having electrolytes, was supposed to help with cramping in general, so I decided to experiment with trying to take in more fluids than usual during a run. I knew that I didn’t want to drink too much at once, ending up with a side ache or throwing up. However, since I had my bottles right there on my belt, I could drink small sips as often as seemed reasonable. I began the plan right away. Within 10 minutes, I noticed some improvement. The cramps were not as constant. They were still there a lot, but subsided some in intensity most of the time. I also found that my body’s natural reaction to the situation had been to alter my posture, so I concentrated on a slight lean forward from the waist, and this seemed to relieve the pressure I was feeling in my back from the cramps, too. The way I have learned to listen to my body in MAF training helped me. I have been getting better at monitoring how I feel and how hard I can run for certain distances at this point in my training without moving myself into an anaerobic stage. So, even though my muscles were fighting the hormone related fatigue, I wasn’t breathing hard. I could tell the difference between my breathing and many people around me. Even runners who passed me seemed to be exerting themselves more than I was. I wondered how long they could keep that up. I was ever so slightly tempted to collapse when we passed an emergency vehicle, parked along the race track, just waiting to help runners in distress. Instead, I took the attitude of one-step-at-a-time. When we hit some more patches of rough asphalt, I noticed how I tended to tense up, so I tried not to. It helped that I was somewhat familiar with the course from last year. A course has less of a never ending feeling if you have run it before. It also helped to run on the white line or cement sidewalks for a while, but that was probably help for less than a mile. Other runners were also trying out the sidewalk, as well as scattering about the road, so my choices didn’t stand out that I could tell. Still, it was strange to think the other runners around me had no idea how the variations in pavement were affecting me. Throughout the race, I got regular comments about people being impressed with my bare foot state. I tried to explain that it was more fun. In fact, I think trying to continue in my cramping state would have been much harder if I was wearing shoes, because shoes don’t allow for the same natural shock absorption that running barefoot does. This was constantly evidenced by the pounding I heard from all the runners’ feet around me. By mile 9, I was feeling an odd combination of peace from holding to my MAF pace and panic from needing to be done due to cramps. 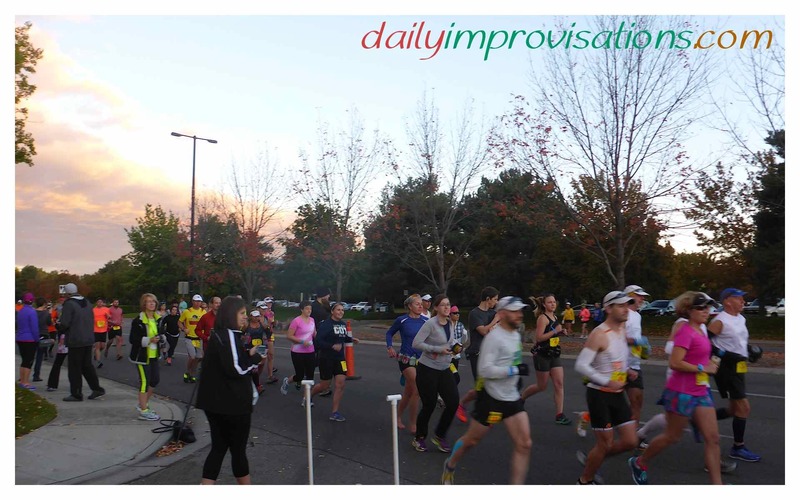 I knew I couldn’t safely pick up the pace much, but I did a little, all the while looking diligently for the next mile markers, because I knew I could safely speed up at mile 11. I increased my speed more, but knew I wasn’t feeling as good as my practice sessions doing this, so held back a little. I did know for sure that I didn’t want to plod slowly the last couple of miles. If I was going to be uncomfortable with cramps, I was going to go ahead and run with some non-plodding determination, stepping as lightly as I could, and feeling good about my finish. I passed other runners bit by bit at this point. My plan to do negative splits was apparently working in spite of things. I didn’t know for sure, since I hadn’t got my Garmin watch working correctly at the beginning of the race. Stupid user (that would be me) error. I forgot to let it find location and just tried to “start” it when the race began. All I knew was how much time had passed and how I felt. Changing the pace did some to refresh my leg muscles, even if it also required more oxygen. However, I saved more of a sprint until the last 0.1 miles. Then, it was over. My first barefoot half marathon and my first race with menstrual cramps. I had felt conflicted about passing an obviously tired man about 10 feet from the finish line, but I didn’t do anything to constrict his passage. I was about 15 minutes slower overall than last year and very “middle of the pack” with my results, so I want to go back next year and be faster. However, I am not unhappy with an average pace of 10:10 under these conditions. I can be patient with what I believe to be a good training approach. It will be interesting to see what another year of MAF training, a marathon, and more time developing as a barefoot runner will lead to. 869th of 1491 all finishers, 422 out of 890 women, and 29th of 55 in my female age group. Statistically, I placed lower against the women in my age group than the rest of the race. There were some competitive times for this group! Possibly you are wondering about my feet after nearly 7 miles of rough asphalt? The little bit of superglue that I had put on a small section of one of the left foot must have been gone after a mile on that rough asphalt, but I never felt a difference, so the healing must have been more thorough than I knew. Both of my soles felt moderately swollen the rest of the same day after the race, but not as much as from the shorter Shamrock section of rough asphalt. It was not the sort of swelling that could be seen, but just tingled a fair amount when I walked. The soles of my feet show no sign of bruising and the skin is completely intact. The following day, my feet feel almost normal. My leg muscles are a bit sore from the final two miles, but as long as I keep moving some throughout the day, it doesn’t settle in so stiff. Ironically, I lost some skin on my thigh, where a pebble must have flown up and nicked me. I have absolutely no regrets about running this half marathon barefoot, rough though some of it was. It is always more fun to run barefoot, if you have trained for it and conditioned your soles. 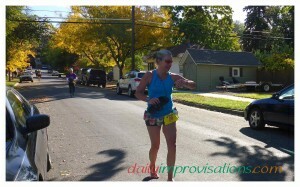 I was passed near the beginning of the race by another barefoot runner who was thrilled to see me. I guess his age to be about 35. Unfortunately, I did not get to see him at the end of the race and find out how he did. He had said there was one other barefoot runner he had met, too. But the rest of the racers were crazy people wearing shoes. A bit of a forced smile right after finishing. 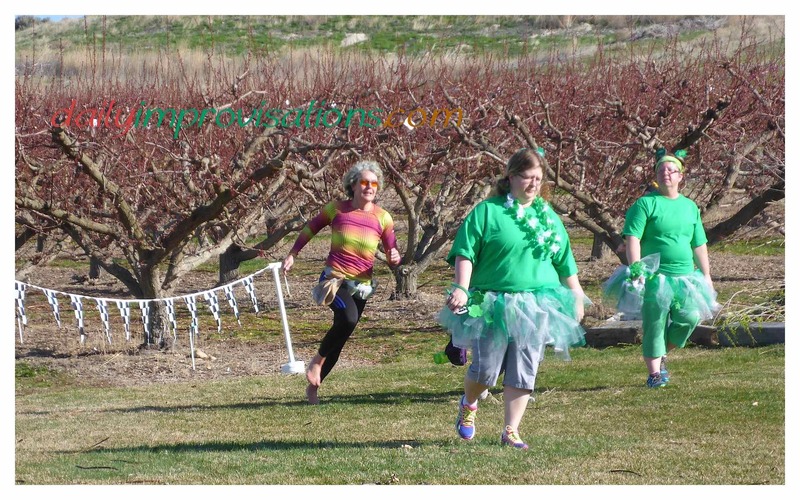 We were encouraged to be festive in green for the Shamrock Shuffle 2014. My best option was green toenail polish. 1. Going to check out the pavement and dirt roads ahead of time was a really good idea. (You can read about that test run here.) Knowing ahead of time about the terrain that I needed to manage, and having determined it was within range of my current barefoot capability, really helped me pace myself and relax about the event. Already having such a good idea of what I would be capable of under those conditions saved me from being frustrated when the rough roads kept me on the slow side. It also helped me make decisions at the beginning of the race when my feet were cold enough to be just a touch numb. If I hadn’t already known about the pavement and how to handle it, I would have been more concerned about injuring my soles. Everything was completely warm by the 2 mile mark. 2. Testing my capacity for the several long and/or steep hills also made me better able to appropriately pace myself. Sometimes there is a tendency for me to push too hard on hills, thinking I just want to get to the top! Then, of course, there is the real risk of being too fatigued to take good advantage of the downhills and enjoy the flats. After making it up a big hill, there was a photographer, waiting to take my picture! 3. Running slowly up the hills was faster than any person walking them ahead of me, that I could see. This is something that I wonder about when I am running by myself; but from this race experience, I can say that a slow run was more efficient, and more fun, for me than walking was for them. This was good for me in two ways. One, it would have been very discouraging to be “running” slower than the walkers, and two, I mentally needed to keep up some sort of run, no matter how slow. Even though I may have been at the top end of my aerobic functioning level, I was not breathing hard and my muscles were not complaining, so I must have been doing something right. 4. Limiting myself to the maximum aerobic pace during the race (except for the very last 20-25 yards mentioned below) was both easier and harder than I thought it would be. It was more tempting to push the speed during the race, but I helped offset that by starting nearly at the very back of the pack. That meant that, no matter what, there were people I was going to pass. This mentally made me feel faster than I was. 🙂 However, it was so encouraging to be breathing so comfortably, and still be doing better than so many other runners around me, that I was inspired that I am on the right track with this training approach. Thoughts of injury also helped me limit my desire for speed. 5. Relaxing the whole leg, all the way up to the hips, made running on rough terrain more enjoyable. I’m not saying it was all easy. I enjoyed the less jagged pavement when I got there (I’m not saying it was smooth, just nicer by comparison), but I could get into a rhythm more on any terrain when I let my legs relax. Plus, it helped with the natural shock absorbing that is one of the goals with barefoot running. Relaxed legs also made it possible to run the dirt orchard roads in more of a trail-like mode, as I skipped through oddly dispersed rock and sticks. This year’s course was different than last year’s, when I ran it in my Moc3’s. And I think there were more hills this year. 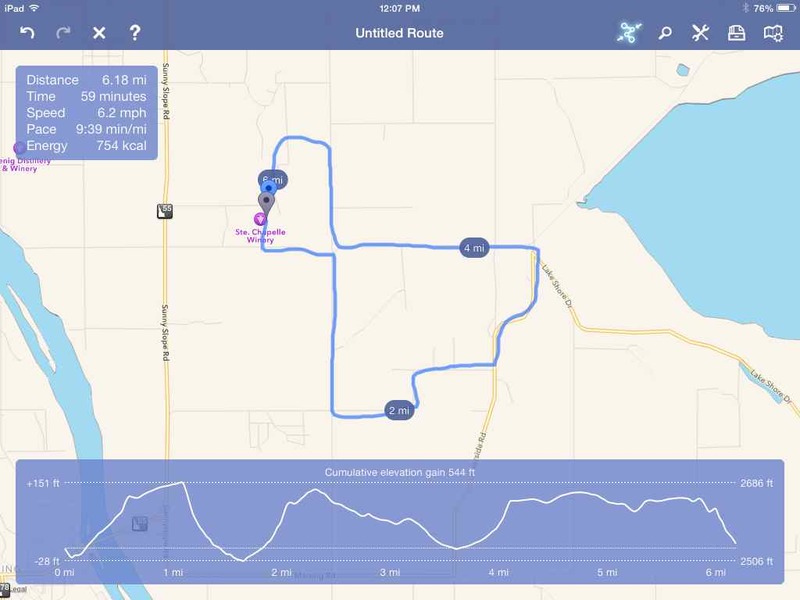 My new iPad app, called Route Mapper, says the elevation went up and down about 55 meters (give or take a couple meters) three times. The first hill is showing up as a mile long. The second elevation gain was accomplished in closer to 1/2 mile. The third gain included smaller, intermediate hills at the top of it. My Garmin watch tells me that my slowest pace this year was at the top of one of the long, steep hills, briefly a 13 minute mile pace. On the rough pavement, I was running between a 10 and 11 minute mile pace, depending on how warmed up I was and if there was any incline or decline. On the nicer pavement, I was gliding by many people at approximately a 9:30 – 9:45 minute pace. I believe the reason for this was that because of working at the maximum aerobic function pace, I was always in a comfortable place, whereas most of the racers running around me were feeling the strain of trying to keep up that stressful “I’m trying as hard as I can” pace. So, once I passed them, they were rarely up to gaining on me again. 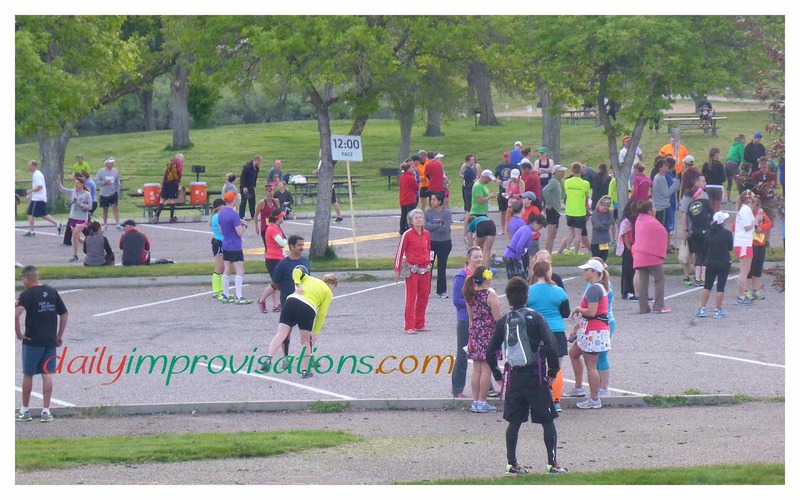 With with 10K racers numbering around 134, it was unexpected to find myself nearly isolated for the last mile of the run. I couldn’t hear anyone behind me, I couldn’t see anyone in front of me, and I only passed a couple of walkers near the end of the race. (I’m going to assume they hadn’t walked the 10K faster than I had run it… so were probably participating in the 5K.) There was the volunteer at the turn into the orchard, which would have been very crucial with me by myself like that, had I not previewed the course. And just before the finish line, having a grand time!